We are instrumental in catering to the variegated requirements of the customers by bringing forth uniquely designed Pharma Laboratory Equipment. Under this range, we offer are few to name. The equipment offered by us are manufactured utilizing full amount of resources, without any wastage and harm to the environment. Highly efficient, our offered equipment is manufactured in adherence with the industry set guidelines. SS Pallet Truck is made with Matt/Mirror Finish. Hydraulic Cylinder for Pallet truck Lift. PU Wheels for Pallet Truck Carrying. 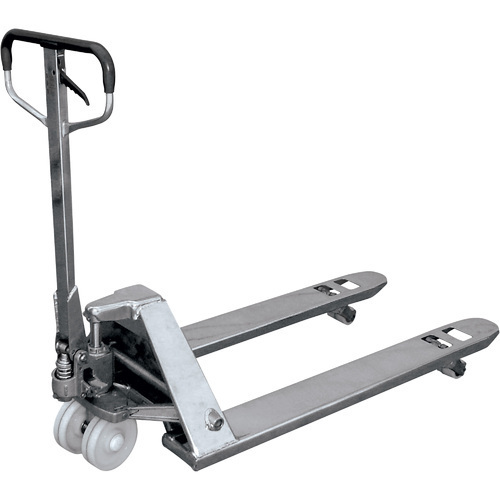 This is one of the popular SS Pallet Truck, used for Pharmaceutical along with all service Industry. It is made with sophisticated design with Stainless Steel which looks very attractive. 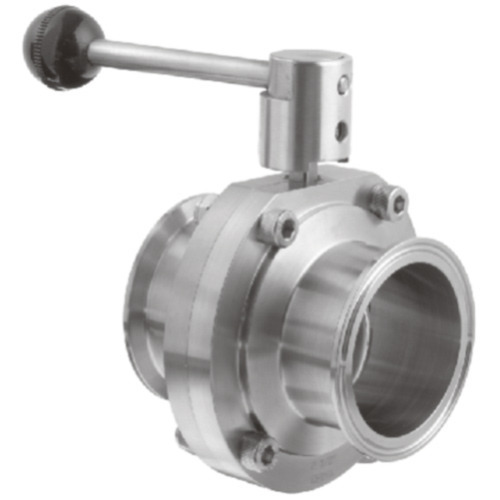 We are leading manufacturer and exporter of SS Butterfly Valve and our product is made up of good quality. • This is one of the popular SS 316 butter fly valve.it is mainly used in pharmaceutical industry. • It is made with sophisticated design and his mirror finish it look very attractive.smooth finished so it is easy to handle. 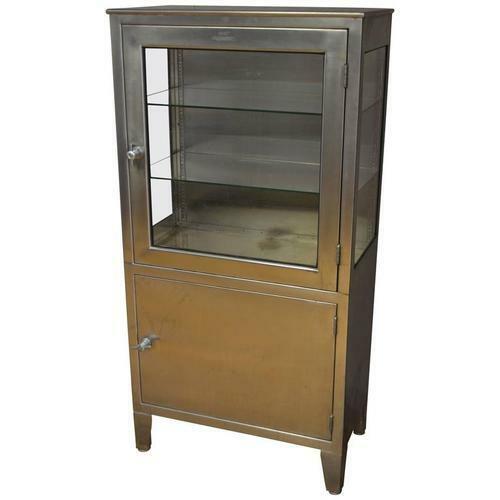 We are leading manufacturer and exporter of Stainless Steel Lab Cupboard and our product is made up of good quality. • Inside mirror and out side matt. • l = 36" x w = 19" x h = 78"
• This Stainless Steel Lab Cupboard made in SS 304 matt / mirror finish. 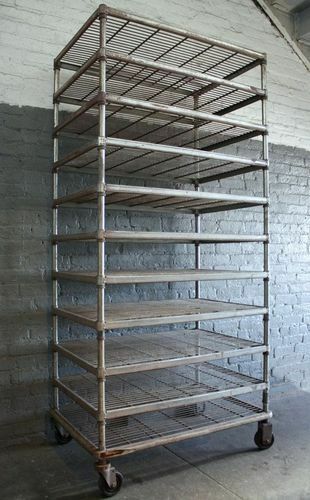 • This Stainless Steel Lab Cupboard is having 3 shelf 4 compartments for Storing Purpose. • This Stainless Steel Lab Cupboard having Legs with adjustable Nylon Bush.Stainless Steel Lab Cupboard is one of the popular SS 304 Lab Cabinet , it is mainly used in Pharmaceutical , Hospital and Laboratory for storage purpose. • It Stainless Steel Lab Cupboard is made with sophisticated design and his matt /mirror finish it look very attractive. It has been given 3 shelf and 4 compartments Lockers for storage purpose. • Its doors has been fixed with acrylic sheet so it can be visible the things very easily.Lock and knob also given for the safer handling. 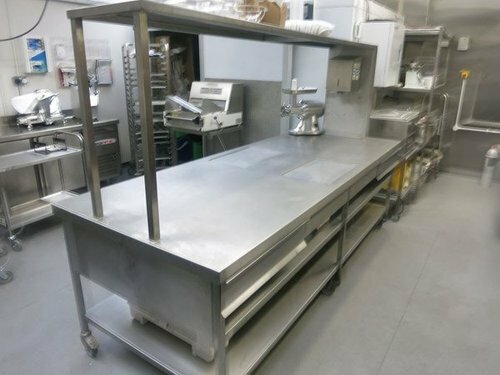 • With our well equipped and sophisticated infrastructure setup, we are able to bring forth a wide gamut of Stainless Steel Lab Cupboard. We are leading manufacturer and exporter of Laboratory Cabinets and our product is made up of good quality. •SS Laboratory Cabinet made in SS 304 /18/16 SWG. Its Fully Matt / Mirror finish. It is mainly used for working in all industry. •SS Laboratory Cabinet is one of the popular SS 304. SS Cabinet with Drawers mainly used for Pharma Industry. It is very convenient for Storage as well as working purpose. •SS Laboratory Cabinet is made with sophisticated design and his matt /mirror finish it looks very attractive. •This SS Laboratory Cabinet is made by our Latest Techniques of Machinery, the cutting and bending work has been done by our CNC Cutting and Bending Machine so the quality of the material is as per quality Norms and technically proven With our well equipped and sophisticated infrastructure setup, we are able to bring forth a wide gamut of SS Laboratory Cabinet. Packaging Details: EXPORT WORTHY WOODEN PACKAGING HAS BEEN DONE BY OUR EXPERTS. We are leading manufacturer and exporter of Clean Room Equipment and our product is made up of good quality. SS Clean Room Equipments made in SS 304 /18/16 SWG. It's Fully Matt / Mirror finish. It is mainly used for working in all industry. •SS Clen Room Equipment is one of the popular SS 304. SS Clean Room Equipments is mainly used for Pharma Industry. Its very convenient for Storage as well as working purpose. 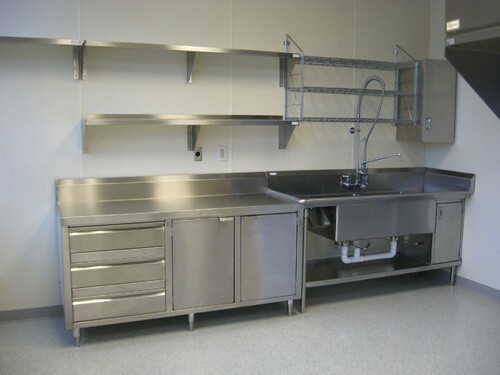 •SS Clean Room Equipments is made with sophisticated design and his matt /mirror finish it looks very attractive. •This SS Clean Room Equipments is made by our Latest Techniques of Machinery, the cutting and bending work has been done by our CNC Cutting and Bending Machine so the quality of the material is as per quality Norms and technically proven With our well equipped and sophisticated infrastructure setup, we are able to bring forth a wide gamut of SS Clean Room Equipments Offered range is designed and developed under the guidance of skilled professionals who own immense knowledge of this domain. Our professionals follow industry set parameters to ensure delivery of an error-free range at the client's end. • SS Mug is made in SS 304 /316 Mirror finish. 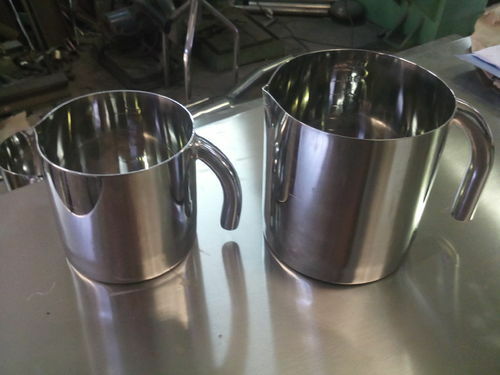 SS Mug is mainly used for storage of Liquid in Pharmaceutical or Laboratory industry. • SS Mug is one of the popular SS 304 / 316 Mug is mainly used for Pharma Industry. It is very convenient for Storage purpose. • SS Mug is made with sophisticated design and his matt /mirror finish it look very attractive. SS Bucket with Lid is coming in various sizes like 1 ltr and above. It is also provided Handle for Handling Purpose. • SS Mug also coming with inside Calibration. • With our well equipped and sophisticated infrastructure setup, we are able to bring forth a wide gamut of SS Mug.Offered range is designed and developed under the guidance of skilled professionals who own immense knowledge of this domain. Our professionals follow industry set parameters to ensure delivery of an error free range at the clients end. 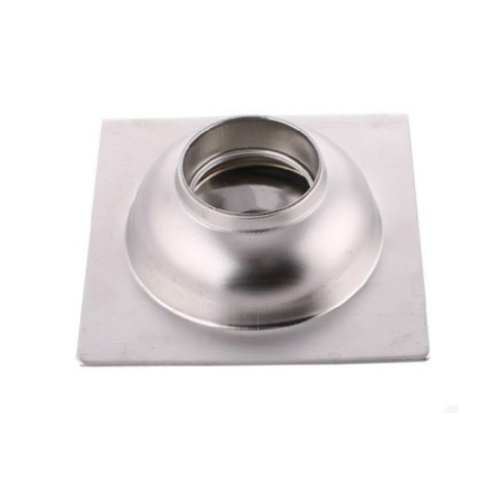 Stainless Steel Round Drain Trap is especially used in pharmaceutical, laboratory and hospital industry. Drain trap is specially designed to trap the waste granules at various level and is easily washable. 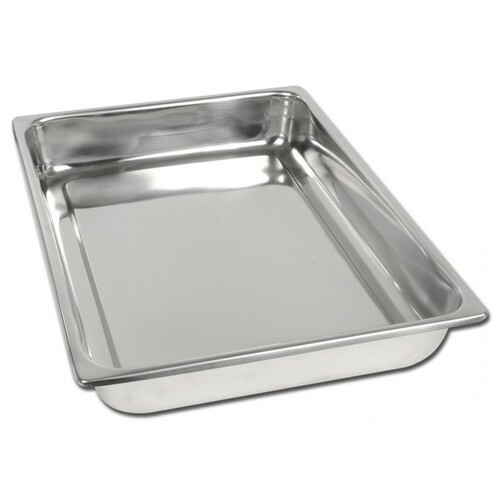 It is provided with top cover with handle, perforated jali & gasket. Drain trap is provided with joints which is welded with organ welding with smooth finished, so it is easy to handle. All work is done under the supervision of our technical team and experienced engineers. 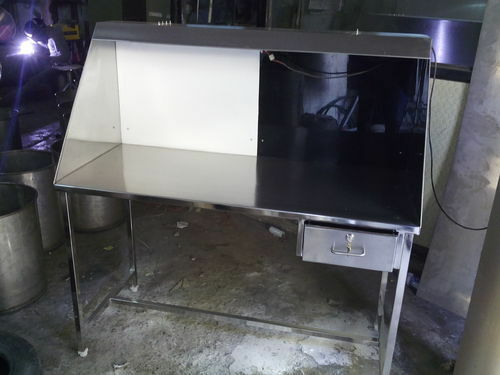 We hold our year of experience in manufacturing and exporting Inspection Table. These tables are made by using ultra grade raw materials. Our experience staff are also made these tables as per the customer specifications. We offers these tables in various sizes at reasonable prices. We are leading manufacturer and exporter of Stainless Steel Drain Trap and our product is made up of good quality. •SS Drain Trap is specially used in pharmaceutical, laboratory and hospital industry too. •This SS Drain trap will be specially designed to trap the waste granules at various level of the drain trap. This SS Drain Trap Easily washable. 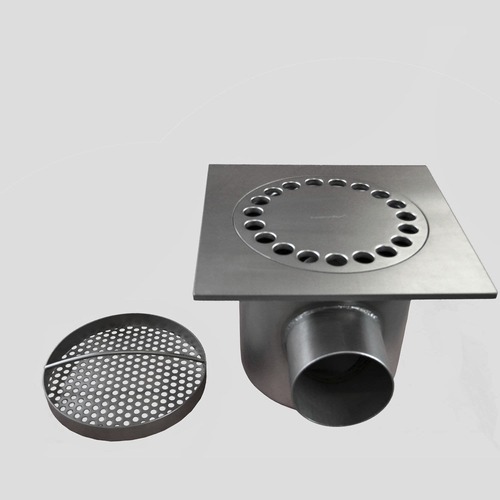 •This SS Drain Trap will be provided with the top cover with handle, perforated jali & gasket. •This SS Drain Trap will provide all the joints has been welded with organ welding with smoothly finished so it is easy to handle. •All the work was done under the supervision of our technical team and experienced engineers. Our QC department has been done all the testing under our company supervision so the quality of the material is 100% certified by our R & D lab. •This SS 304 Drain Trap made by our latest techniques of machinery, the cutting and bending work has been done by our CNC cutting and bending machine so the quality of the material is as per quality norms and technically proven. Packaging Details: Export-worthy Wooden Packing done by our experts in packing departments. SS 316* / SS 304* 16/18 Swg. SS Try is made in SS 316 / SS 304 Mirror finish.Is mainly used for in Pharmaceutical or Laboratory industry. SS Try is one of the popular SS 316/ SS 304 SS Try is mainly used for Pharma Industry. It is very convenient for Storage purpose. SS Try is made with sophisticated design and his matt /mirror finish it look very attractive. With our well equipped and sophisticated infrastructure setup, we are able to bring forth a wide gamut of SS Try Offered range is designed and developed under the guidance of skilled professionals who own immense knowledge of this domain. Our professionals follow industry set parameters to ensure delivery of an error free range at the clients end. We have established ourselves as one of the trusted manufacturer and supplier of a comprehensive array of Laboratory Rack . Manufactured using quality assured raw material, offered mice and rat cages holding racks are in-compliance with the globally laid quality standards. Post production, our quality controllers check these mice and rat cages holding racks by using modern machinery so as to ensure their ability to fulfill the requirements of patrons. Looking for “Pharma Laboratory Equipment”?